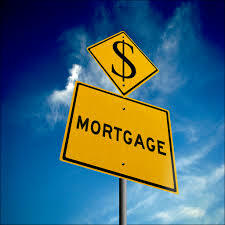 A recent article in U.S. News and World Report focused on specific tips to ensure that you get the best mortgage deal. If you obtain quotes from more than one lender, it is important to know that the lowest rate does not mean the best deal. Often, lenders will pack the deal with fees in order to give you that incredibly low rate and the loan can actually be MORE expensive even thought the rate is lower. Even though the Good Faith Estimate is being replaced August 1 with a more useful document, ask to see the complete worksheet to make sure it itemizes all of the fees. You will probably pay for additional costs, which may include title insurance, real estate transfer taxes and required escrow for property taxes, and homeowner insurance. If you’ve had any credit issues in the past, it is important to inform your lender. They will end up finding out about past credit problems anyway so letting them know up front will allow them to give you the most accurate quote. Make sure you have all the information and documents needed and bring them with you when you sit down with the lender. Ask your lender specifically what you need to bring so the process can go smoothly. Do you want to pay more upfront, or do you want a lower interest rate? With a 30 year loan, it might be a good idea to pay more down to get a lower rate. Talk to your lender about what is best for you. Find out about the person handling your loan and ask about his or her experience and qualifications. In addition, ask to see references and see if you can find reviews online. If you have any questions pertaining to anything in the mortgage industry, please feel free to give me a call and I will be happy to answer your questions and give you advice.